I’ve been looking for the ideal make up base suited for oily and spot prone skin. All primers I have come across only claims to mattify and it either breaks me out or the oil control was disappointing. I needed to expand my horizons and not specifically look for primers. After being recommended this, I had decided to take the plunge. I haven’t stopped using it ever since. I don’t suffer from large or noticeable pores therefore I cannot comment on the main feature, minimising pores. When applied to the face, avoiding the eye area, it sinks in well and leaves a smooth canvas, ready for makeup. There is a slight refreshing feel and is also not heavy on the skin. A little goes a long way with this and have noticed if you rub it into the skin too well, it will start to rub off. I haven’t seen this aggravating spots that were already there nor has it broken me out. I’d like to think the tea tree oil in this helps this. It doesn’t dry out my skin but it sometimes accentuate some dry patches I may have. It doesn’t bother me as oil control is my number criteria. I just make sure the dry patches are moisturised well. This doesn’t have the greasy, silicone feel like primers have. The tea tree smell isn’t as strong as the other products within the range. I quite like the smell myself. If you’re not too fond of it, it will disappear shortly after. 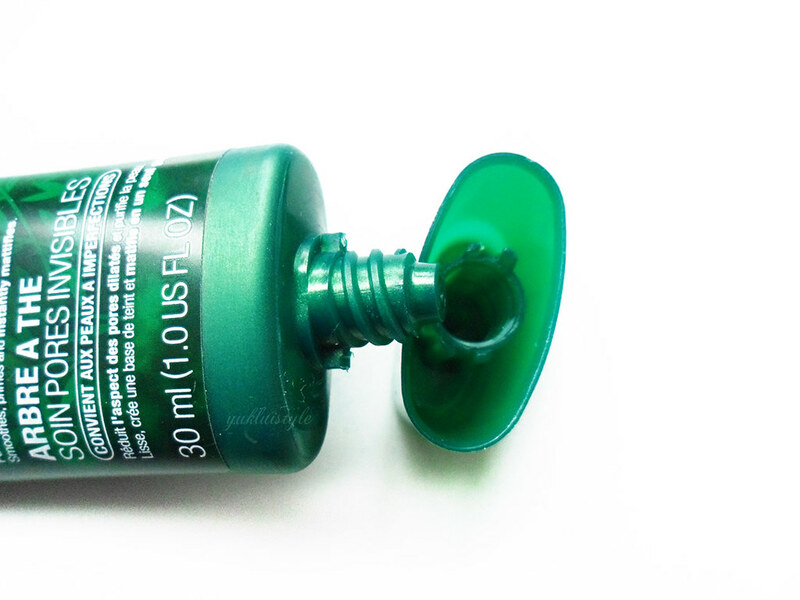 I apply this after moisturiser then wait a minute or two before applying makeup. Once I’m dolled up, my skin is oil free for the rest of the day. I could go through a working day without blotting. Make up is still intact and is the best make up base I have ever used. I would definitely repurchase this 100% and keep repurchasing it. If you’re oily and have spot prone skin, I highly recommend this. Have you tried this primer before? Are there any primers you are currently loving? I think The Body Shop used to be a way better brand couple of years back. I have the green tree bb cream and don't like it at all. It leaves dry patches and I gave this product couple of chances as I thought it is something else causing dryness but it only happens when using this BB cream and I normally don't have dry skin. Some products however I still love from this brand. I might have to run out and get this. I need something for my oily skin…. I've tried so many products to mattify it but the oiliness always prevails in a couple of hours, lol. I was going to try the Hourglass or Becca Primer but I'll give this inexpensive recommendation a try first. Thanks for the heads up! 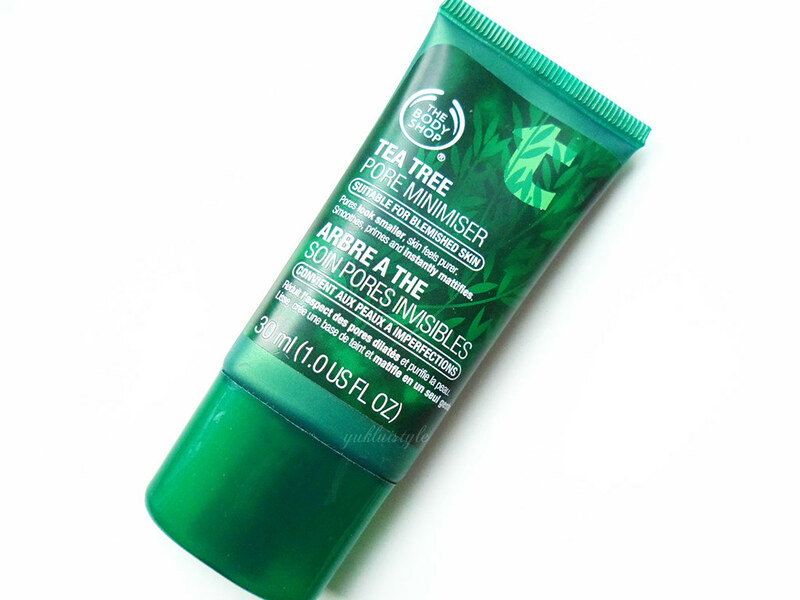 Wow I've been using alot of tea tree products, now I really want to try this out now since it's a primer too! Great Review hun! I've used stuff from their collection but they broke me out! I've heard so much about this! I definitely need to try it. I have oily skin!! Gonna pop into Body Shop to have a try! I actually finished using this last week 🙂 Probably the only primer that I have finished. I love the smell and the sleek packaging of this. However, my skin has become a little bit more dehydrated so I have switched onto the Clinique superprimer which is more moisturising and does a good job making my makeup longer lasting! This is literally next on my list. It sounds amazing. I don't use primers and haven't for a while. This looks really good though. Base on your review I am tempted to try it.. Been hunting for a new Bb cream to replace my laneigh and this might be it.. I have read good reviews on their tea tree oil line. It is quite expensive though but with your review, it must be worth the price. This is amazing. I used it once and fell in love with it. Thanks for reminding me that I need to update my to-buy list. I'm currently loving laura mercier foundation primer. i have noticed everyone like this bodyshop primer, I'm yet to try… but seems like i have to try this! Sounds like a great product. I've never tried it, because it's not made for my skin type. the body shop tea tree series is very good for face treatment. most of them make a good review about it.